Jordan Rodgers is celebrating his 30th birthday with his bride-to-be. The sports commentator kicked off the festivities Sunday with fiance and former "The Bachelorette" star Jojo Fletcher, his dad Edward Rodgers, his brother Luke Rodgers and other pals. Rodgers, who officially turns 30 on Aug. 30, shared a photo from the party on Instagram. 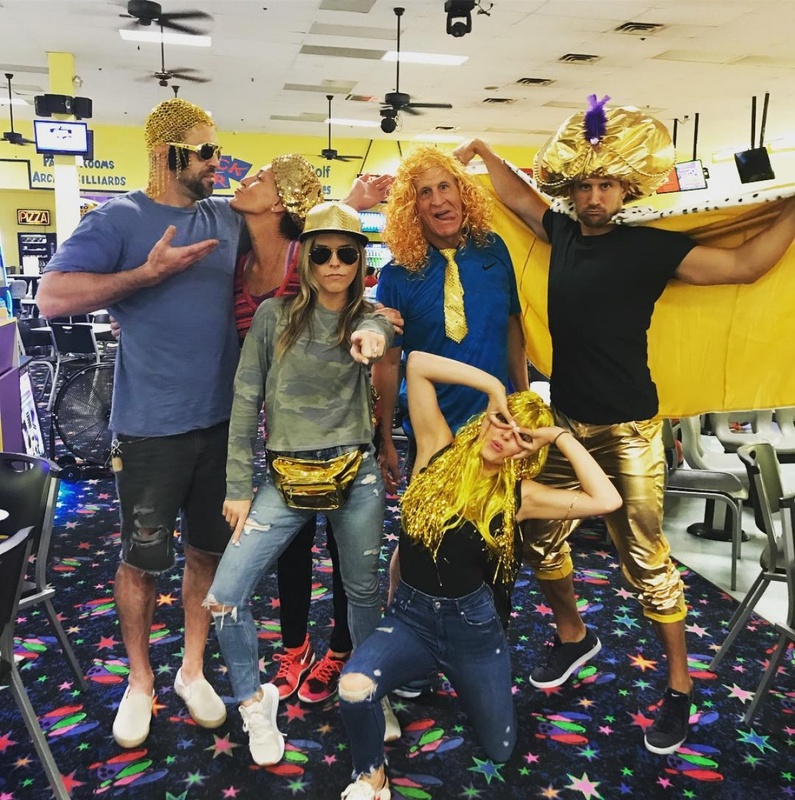 The picture shows the group posing in gold costumes at a bowling alley in Bowling Green, Ky.
"Golden Birthday festivities are getting out of control, already #30onthe30th," Rodgers captioned the post. Rodgers and Fletcher met on "The Bachelorette" in 2016, and got engaged during the Season 12 finale. Fletcher shared details about her wedding in an interview with Us Weekly in July. "I would have liked to have a wedding in the fall, but Jordan's work doesn't really allow for that," the star said. "We're probably gonna [have it] in the beginning of some sort of year. We like it outdoors, we like a lot of greenery, so we have that nailed down. Just not the date," she added. TMZ said Rodgers' other brother, Green Bay Packers quarterback Aaron Rodgers, did not attend the star's birthday celebration. Aaron spoke out in 2016 after Rodgers discussed their strained relationship on "The Bachelorette," saying he wishes his brother well. 'The Bachelorette' couple JoJo Fletcher and Jordan Rodgers reveal new wedding plan details!